Ahlen, November 2016. – The Kaldewei website (www.kaldewei.com) has been voted the best corporate website in the Enterprise/Industry category at the international TYPO3 Awards 2016. Partnering with the Bundesverband Digital Wirtschaft (BVDW) – an organisation representing the interests of companies engaged in interactive marketing, digital content and interactive added value – the TYPO3 Association’s award honours the Kaldewei website’s creative design and exceptional user-friendliness. 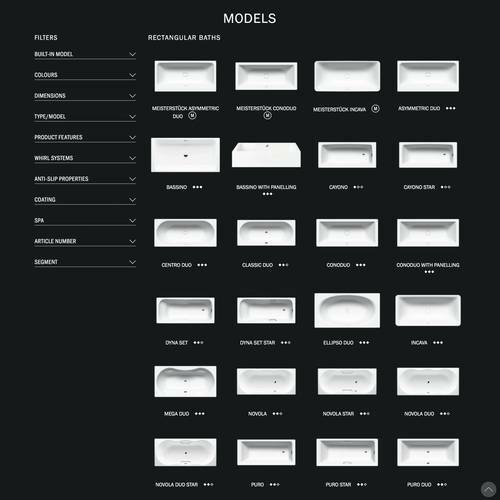 Given a complete makeover in September, the premium manufacturer’s website is exemplary in terms of its ease of use and practical service tools. The awards ceremony took place at this year’s TYPO3 Europe Conference in Munich. Awards in eight different categories were presented to pioneers whose open source-based websites create outstanding digital user experiences. The website of premium brand Kaldewei was selected by the expert panel for the award in the Enterprise/Industry category on the basis of its excellent web design, performance and user-friendliness on various end devices. 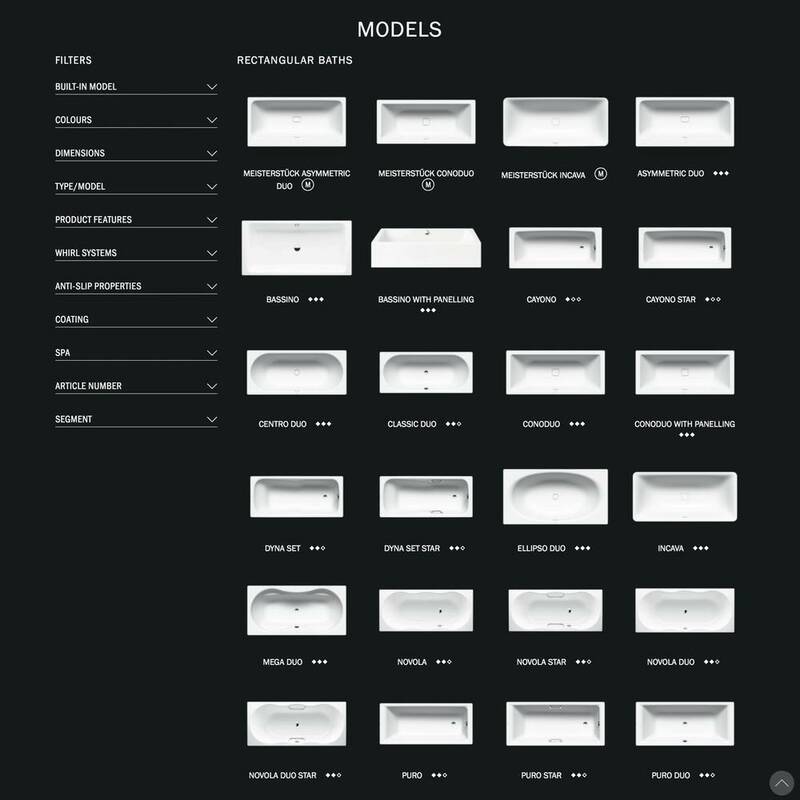 Unrivalled in the industry since being redesigned in September, the Kaldewei website now offers highly persuasive features such as an intuitive and simple user interface, an intelligent search function and many useful service tools such as a Product Configurator or the Find A Retailer function. The design is aligned with the company’s high-end brand image and is based on the results of a systematic survey of trade partners and customers. Every year the TYPO3 Association presents the international TYPO3 Awards in eight categories – eCommerce, Education, NGO, Industry, Sport, Tourism, Finance and Public-Sector – as well as in three further specialist disciplines, to exceptional websites that have been created using the TYPO3 open-source content management system. The jury consists of four industry insiders such as BVDW Vice President Thorben Faschen and two experts from the TYPO3 community. 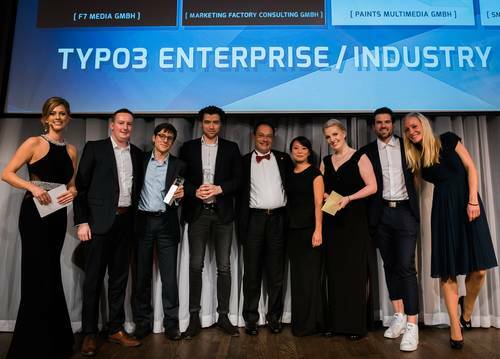 Online Marketing Manager Jerome Stirmann (3rd l.) accepts the TYPO3 Award 2016 in the Enterprise/Industry category on behalf of Kaldewei.